What is the error telling you? Normally you shouldn't have a "Target" Pin when getting and setting a variable in one and the same Class. 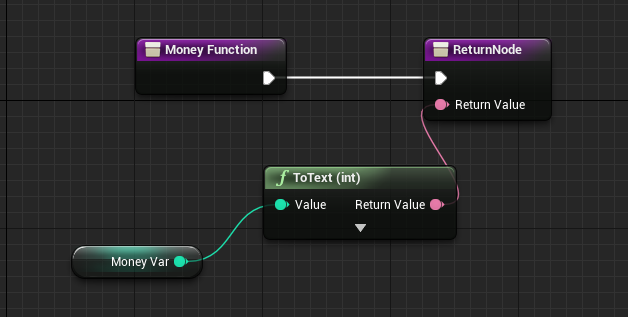 I would also recommend you to move the Money variable into another class, like the PlayerState or Character. And then get and set the variable be getting the Character or PlayerState (PlayerState can be found through the PlayerController. It is a pointer to the PlayerState).